It has never been more important to get your pension in order. Your pension fund is one of your largest and most important assets that will help to support you into old age and ensure you can maintain a good standard of living in retirement. At Reeves Financial we provide high quality, personalised advice to give you confidence in your future finances. Whether you are young and want to know more about pensions, are some way off retirement but want to give your plan a boost, or you are getting ready to retire, we have the expertise to help you make the important financial decisions that will define your future. With increasing reliance on the private sector, it is essential that you receive the very best advice when it comes to planning for an income in retirement. Why choose us for pensions advice? We have been established for over 25 years, so we have a wealth of experience in the pensions market. 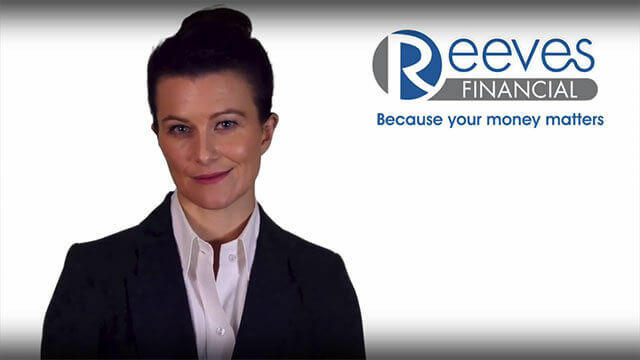 With Reeves Financial you get truly independent advice. We offer ‘whole-of-market’ advice, which means we are not tied to any particular pension products or restricted to particular financial institutions. We take a personal approach and provide advice that is tailored to your needs and circumstances, which makes all the difference when you come to retire. Our financial experts will explore flexible options and tax efficiency, so we can create a plan that is most suitable for you. We always thoroughly assess your attitude to risk before we offer any investment advice. Your first meeting with us is usually FREE and if you already have a pension, we also offer a free ‘second opinion review’ service. We provide a huge range of free resources in our Knowledge Centre, including our Guide to Retirement Planning. We are authorised to offer independent advice and are regulated by the Financial Conduct Authority. * Auto Enrolment is not regulated by the Financial Conduct Authority. As part of our service, we will review your existing schemes and provide you with a report analysing past performance of your funds. We will also assess the charges on the existing plans and go through any other benefits that your plans may offer. A pension is a long-term type of savings plan designed to help you save money for later life. There are several different types of pension scheme, some are run by employers, others you can set up yourself. With so many options available, it is always a good idea to speak with an Independent Financial Adviser before making your investment. What are the risks in having a pension plan? When you pay into a pension plan, your money goes into investment funds, such as the stock market, bonds, property or cash. As with any investment, the fund value may fluctuate and can go down as well as up. In some cases, there is a possibility your plan may be worth less than the total you have paid in. If you are risk averse you can choose lower-risk investments, however you need to weigh this up with how your investments may grow. How do I know how much I will get in retirement? Your eventual income will depend upon the size of the fund at retirement, future interest rates and tax legislation. The type of plan you have will also dictate what you will get. For example, a defined benefit scheme aims to offer a specified level of income at retirement. Is it too late for me to start paying into a pension pot? No matter how old you are it is never too late to think about financially planning for your retirement and paying into a pension scheme. It is actually a tax-efficient way of saving money. In many cases, your pension scheme will provide benefits to your dependants when you die, often as a lump sum. You may also have life assurance with your pension, which will get paid out as well. Can I get advice on pensions near me? If you would like advice from our qualified IFAs in Horsham, Crawley and East Grinstead, please fill in our contact form below and we will get back to you as soon as possible. We offer advice to our clients throughout Sussex, Surrey, Kent and London, as well as across the UK.